On the day just before the 2014 NTU Bike Rally, I was inspecting the two bikes (Dahon Boardwalk and Dahon Vitesse) to prepare for the long ride. What I do is to check the braking and shifting functions, and ensure that all the folding joints are tight with no looseness. I will also ensure that all the bolts and screws on the bike are tightened properly. This means taking a screwdriver and different sized Allen keys to tighten every one of the bolts and screws on the bikes. It was during this inspection that I found a loose bolt on the stem faceplate of the Dahon Boardwalk. Initially I thought that this bolt had somehow worked loose. But I found that it could not be tightened any further. I then realised that the other side of the faceplate was broken! No wonder the bolt was loose. I first detected the loose bolt on the right side of the picture. Only after I tried tightening it that I found the broken part on the other side of the clamp. 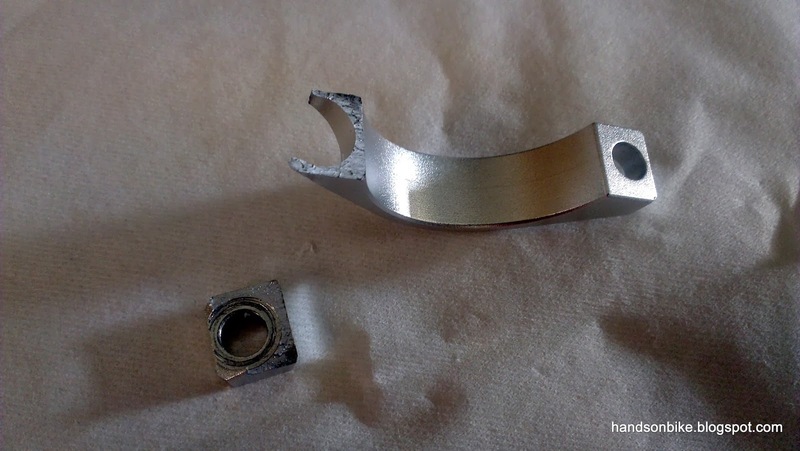 Both the bolts were still on the clamp and thus the broken part could not be seen easily. I wondered how long I had cycled with this broken part on the stem! Luckily nothing else broke or gave way, or it could have been a really nasty accident, since the handlebar is such an important part of the bike. I was really glad that the other side of the stem faceplate held up fine. This stem was installed only during mid January this year, and everything had seemed fine until I detected this broken part. Looking back, it could have been broken when the bike fell on its right side during one of my rides. 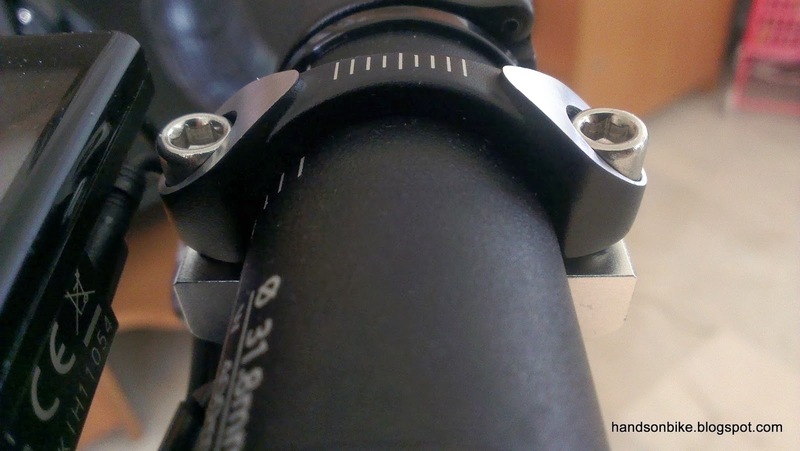 The impact could have been transferred from the drop bar to the stem and broken the faceplate. That happened a few weeks before the NTU Bike Rally. 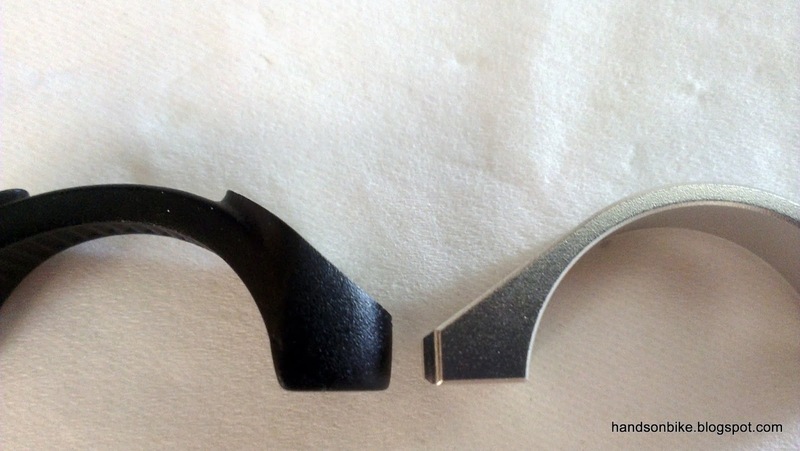 The broken part of the stem faceplate. Note that the material around the hole is really thin, which would mean a weak point on the faceplate. 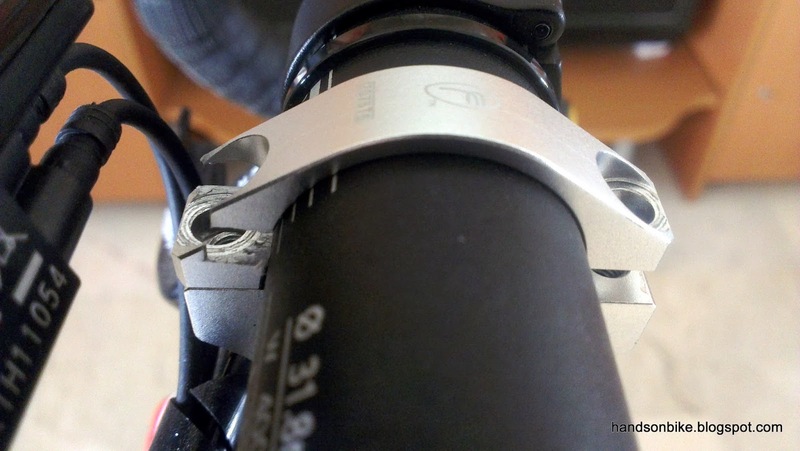 This is not safe as the stem is a critical part on the bike, and failure could have strong consequences. Since I had no suitable spare stem, this means that I would not be able to use the Dahon Boardwalk if the stem is not replaced. I was already preparing to ride my other bike, the Avanti Inc 3 commuter bike for the NTU Bike Rally. It would have been more comfortable but perhaps more tiring due to the heavier bike weight. It suddenly occurred to me that I could actually use the faceplate of a standard stem to replace the broken part! 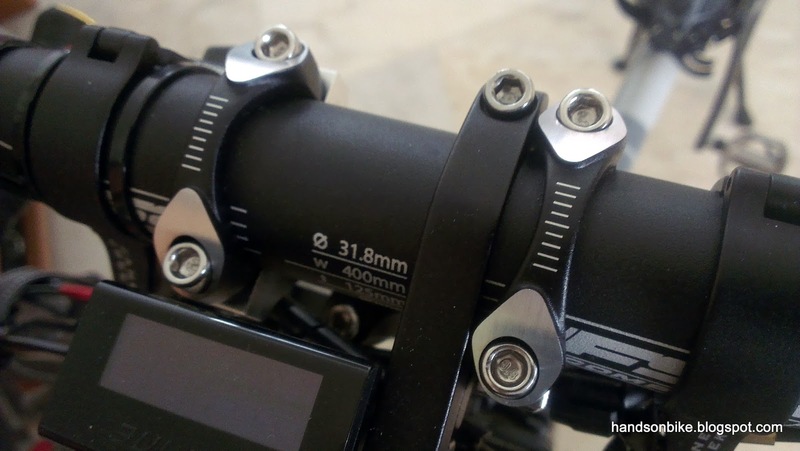 I just needed to make sure that it is a 31.8mm stem, and that the hole-to-hole distance of the replacement stem faceplate is similar to the original part (which is now broken). 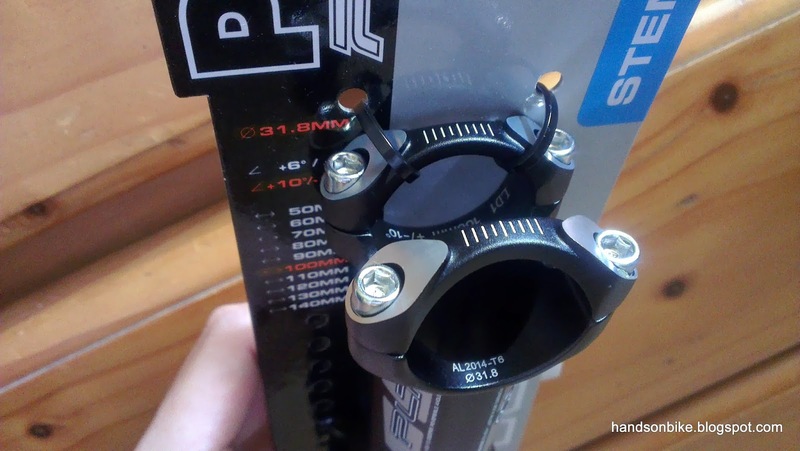 I immediately went out to look for a suitable stem which has a faceplate that I can use. Rodalink at Jalan Jurong Kechil was the nearest bike shop with a variety of stems, and that was the first place I went. I was in luck as I found a suitable stem over there! 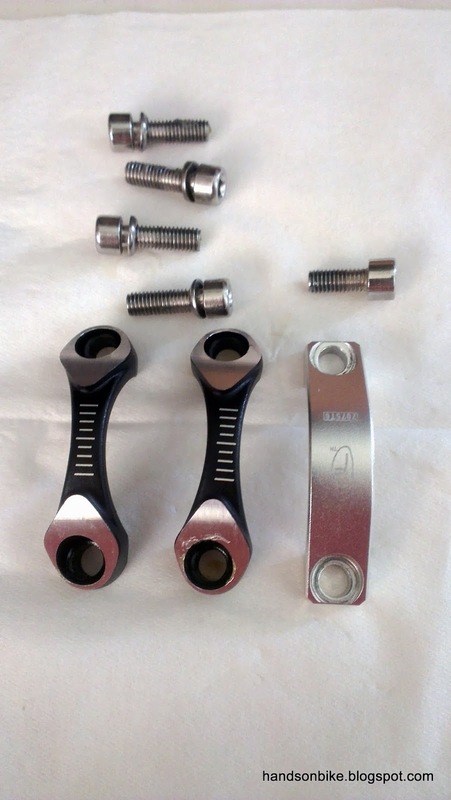 By comparing the faceplate dimensions of the original part and the replacement stem, I found that the dimensions are a good match. Same 2 piece faceplate design means that it will fit my stem easily! 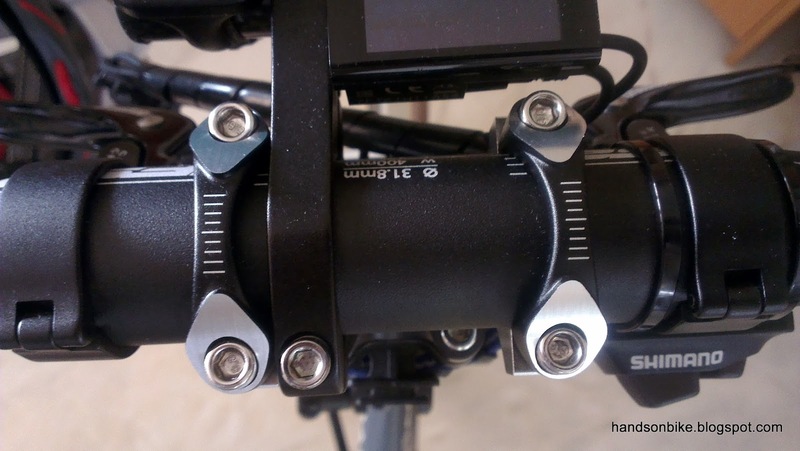 Comparing the stem faceplates, the design is similar, and also use M5 bolts. The hole-to-hole distance for the PRO stem faceplate is almost the same as the original silver faceplate. The difference in hole-to-hole distance is less than 1 mm and so it should work fine. The PRO stem faceplate is more well built. There is more material above and around the bolt hole area, and it is also slightly wider at the hole area for better strength (refer to previous picture). 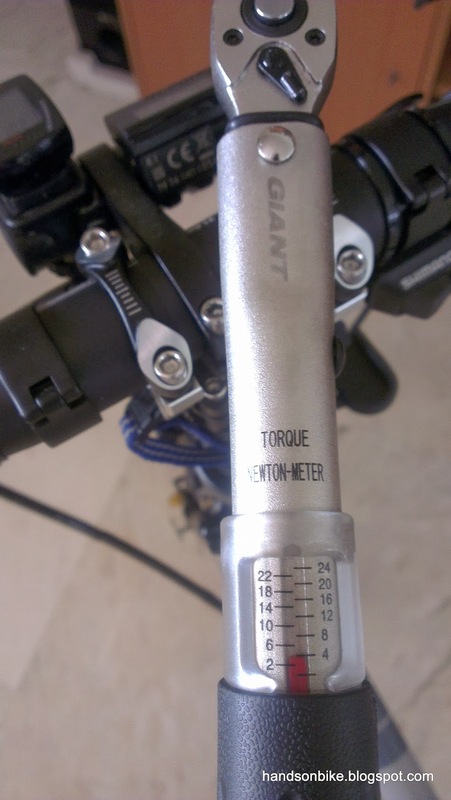 I used the Giant torque wrench to make sure that the recommended tightening torque of 4 N.m is not exceeded. I also used the Fiber Grip to ensure that the drop bar does not rotate in the clamp. No problems with installation. It goes on nicely as a replacement part. 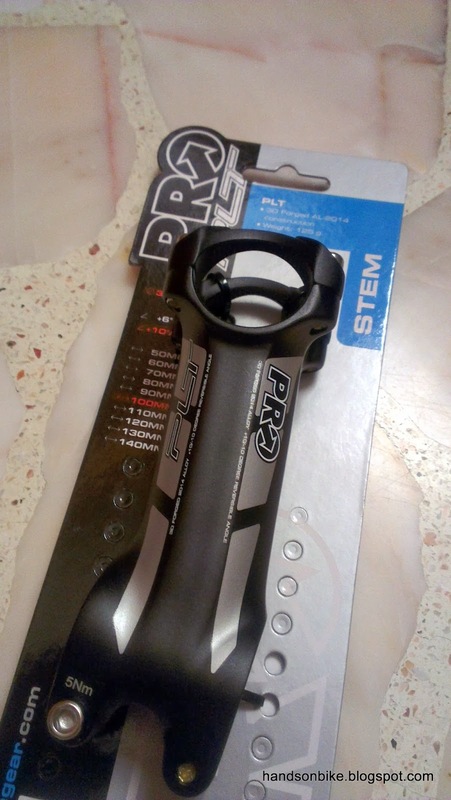 This replacement stem faceplate from PRO fits the original stem well. In fact, this replacement part from PRO looks better than the original part! It is black with machined ends for a more high end look. The replacement part fits so well that I was confident that this would work, so I didn't bother to test it out. The next day, I went for the NTU Bike Rally with the Dahon Boardwalk and everything worked fine. So glad that I managed to find the replacement stem faceplate! This replacement part is definitely stronger than the original part and so I am confident that the same failure would not happen again. In summary, do take the effort and time to inspect your bicycle once in a while! 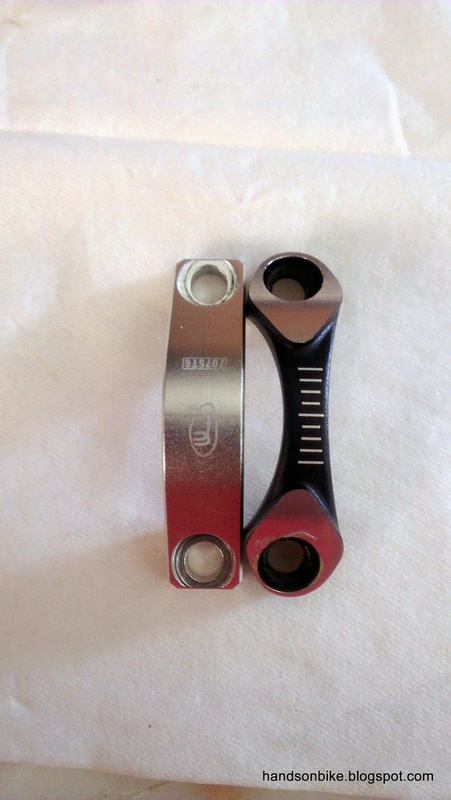 This will prevent accidents from broken or worn out parts on the bike, especially before a long ride where the reliability of the bicycle is important. If in doubt, do not ride the bike until the problem is fixed!